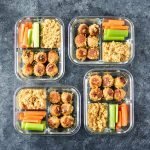 It’s only the second week of creating these meal plans with Sunday Meal Prep steps, and I’ve already learned a lot about what’s working, and what’s not. 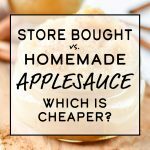 This week, I spent time looking at the pros and cons of creating a meal plan considering quantities for two people, versus quantities for one person. 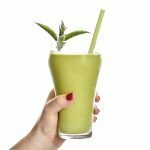 Ultimately, it seems like it would be much easier for the meal plan to be doubled or modified for two people, rather than estimating ways to cut everything in half, as an individual person might have to do. I would much rather someone need to make their own additions to the meal plan instead of ending up with more food than they can consume. The goal is to reduce costs and food waste, and help provide meal plan examples and preparation steps for any individual. So, I’ve decided to create this week’s Sunday Meal Prep for one person instead of two. Let’s see how it goes! If you saw last week’s meal post, you might know what I’m aiming for here: 1,700 calories a day, made up of 30% carbohydrates, 35% fat, and 35% protein (MyFitnessPal tells me this equals approximately 127g of carbohydrates, 66g of fat, and 149g of protein). 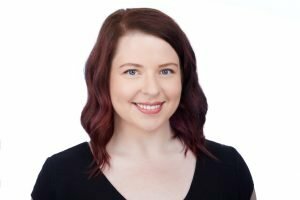 I encourage everyone to research their own goals and track their own food, because what works for me might not work for you. Remember, this week’s shopping list is for one person! If you are cooking for two, you might need to find additional meals or double the quantities, as your portions will be eaten twice as fast. 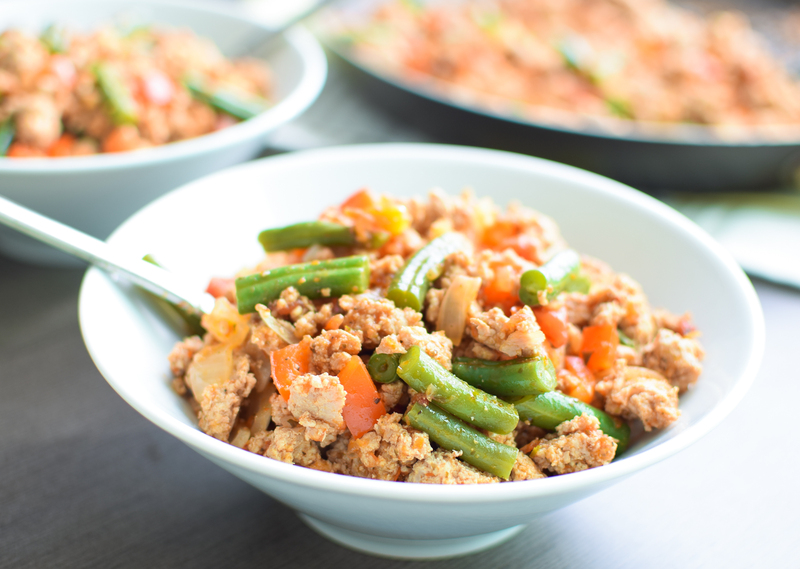 The Smokey Green Bean Turkey Skillet is making its first meal plan appearance this week. And by the way, this Chipotle Chicken marinade definitely deserves a post of its own because it’s heavenly, but I’ll get to that next week! 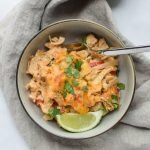 I hope you enjoy this week’s meals on Project Meal Plan. **Some items are noted “for Friday”. For best quality, purchase these items later in the week. 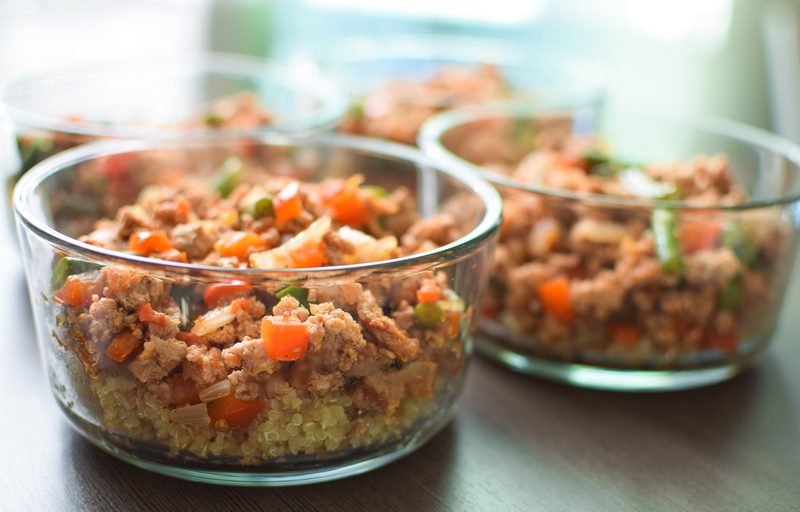 Defrost your ground turkey meat for the turkey skillet. [10 minutes] Heat a little olive oil in a skillet and add your breakfast meat of choice. Cook until nearly done, drain excess liquid, and add 1/4 cup chipotle salsa and 4.5 ounce can of green chilies. Cook until done, 165 degrees. 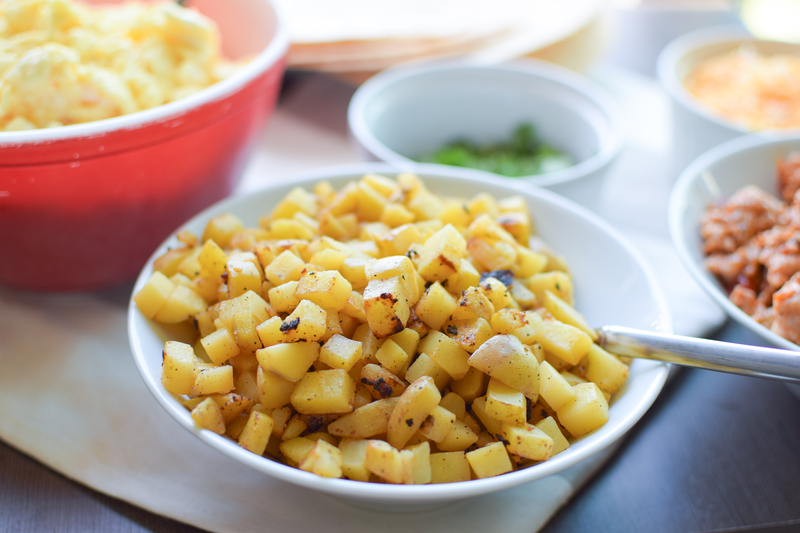 [10 minutes] While the meat is cooking, wash and cut all potatoes for the breakfast burritos into small .5 inch cubes (check out mine in the photo!). Toss with 1/2 tsp cayenne pepper, 1/2 tsp salt, 1/2 tsp ground black pepper, 1/2 tsp garlic salt, and 2 T olive oil. [20 minutes] When the meat is finished, remove from pan and set aside. Cook the potatoes in the same pan. I added some olive oil and cooked them for about 12-15 minutes over medium heat until they were soft (or however cooked you like your potatoes!). Stir frequently for minimum pan stickage. **You can also cook these in the oven! [10 minutes] While potatoes are cooking (or when they are done), chop up some cilantro and break all your (10) eggs. Use a fork or whisk to scramble them together with a sprinkle of salt and pepper. [20 minutes] When the potatoes are done cooking, remove from pan and set aside. To reduce excess pots and pans at the end, I washed the skillet and then used it for cooking the eggs. Cook eggs over low heat, stirring frequently as you would normally cook your scrambled eggs. 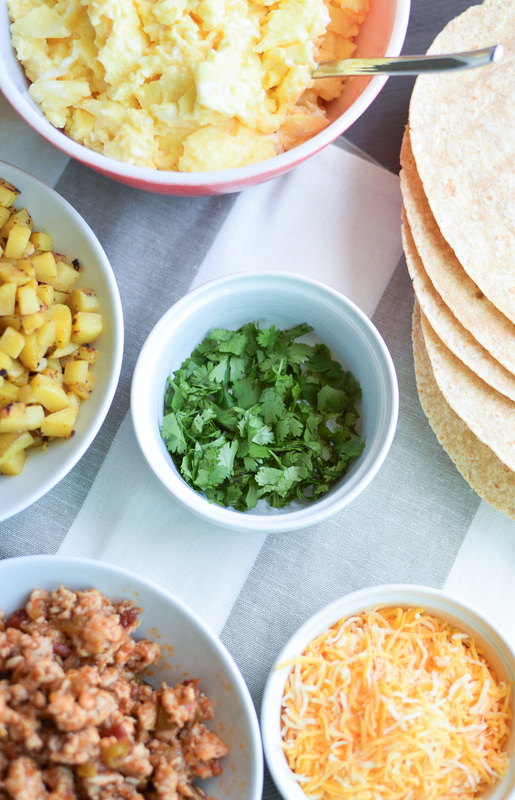 [30 minutes] Gather all of your burrito ingredients and set up a burrito station. 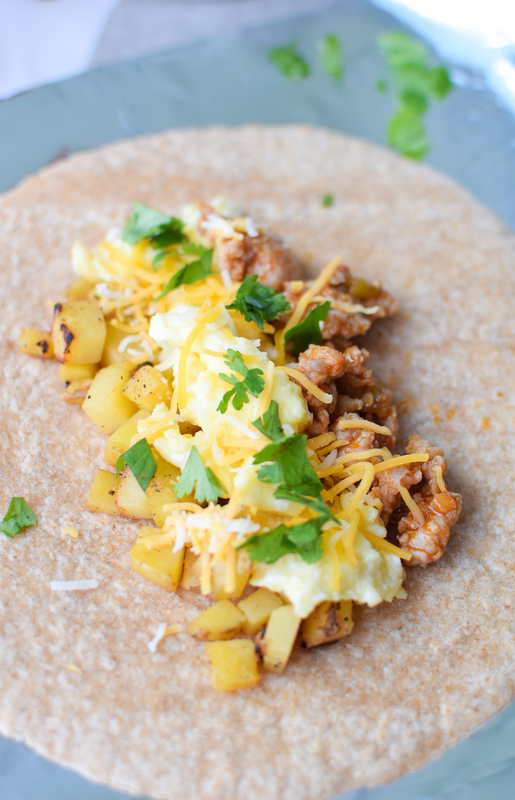 Line up some eggs, potatoes, and meat on one tortilla at a time. Sprinkle with some cheese and cilantro. Wrap each burrito in aluminum foil. Continue until you run out of ingredients. Put all except one burrito (Monday morning’s breakfast) in the freezer. You may end with 7-8 burritos total. Breakfast for days! [5 minutes] Whip out your rice cooker to get some quinoa cooking while you work on the turkey skillet. Grease the bowl with coconut oil. Add 1 cup dry quinoa and 1 can (or 2 cups) of chicken broth or water. Set on rice setting. [10 minutes] Wash and chop the following veggies. Place them in individual bags labeled with the date and meal, if you wish: For Turkey Skillet: 1 red pepper diced, 1/4 onion diced, 1-1/2 cup green beans cut into a couple inches in length. Monday Dinner: 1/2 green pepper in thin strips, 1/2 red pepper in thin strips, 1/4 white onion in thin strips. Tuesday Dinner: 1/2 green pepper in thin strips, 1/2 red pepper in thin strips, 1/4 white onion in thin strips. Remaining veggies are cut during the week: 1/2 onion, 1 green pepper, 1 red pepper. [25 minutes] Begin cooking the Smokey Green Bean Turkey Skillet as the recipe instructs. [15 minutes] When both the quinoa and turkey skillet are complete, portion both into four 4-cup pyrex bowls. There’s lunch for Monday-Thursday! Wash all your dishes. Breakfast: Heat your breakfast burrito in the toaster oven on 350 degrees for 7-10 minutes. I found it best to flip the burrito halfway through. Dinner: Toss 8-9 raw shrimp with 1/2 tsp garlic salt, 1/2 tsp cayenne pepper, and a pinch of salt/pepper. Sauté the peppers/onions you cut yesterday, add the shrimp and cook until they are pink. Cook your quesadilla by heating a large burrito size tortilla in a large skillet over medium heat. Sprinkle cheese and cooked shrimp/peppers mixture onto one side of the quesadilla. Add some hot sauce or a tiny bit of salsa. Flip after a couple minutes and let it sit until all the cheese is melted and both sides are browned. 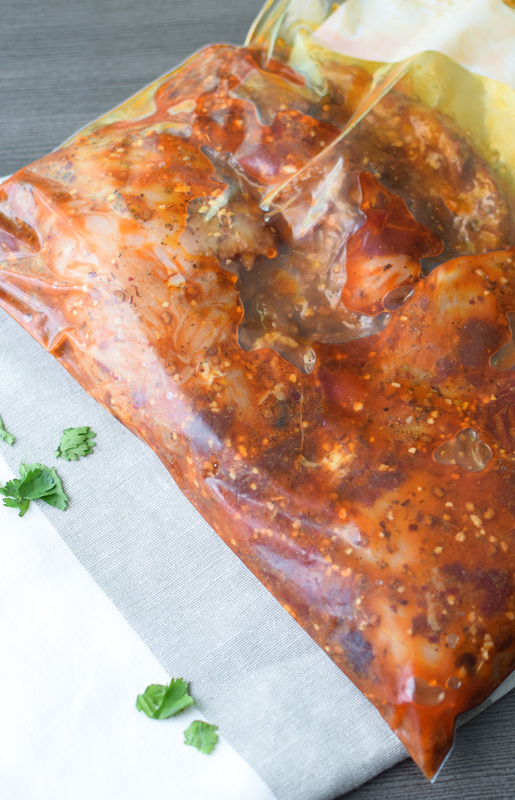 Prep: Take tomorrow’s burrito out of the freezer and stick it in the fridge. Dinner: Use the rice cooker to make some Cilantro Lime Quinoa. It can cook inside while the chicken is cooking on the grill. Dinner: Make a foil container of peppers, onion, and black beans. 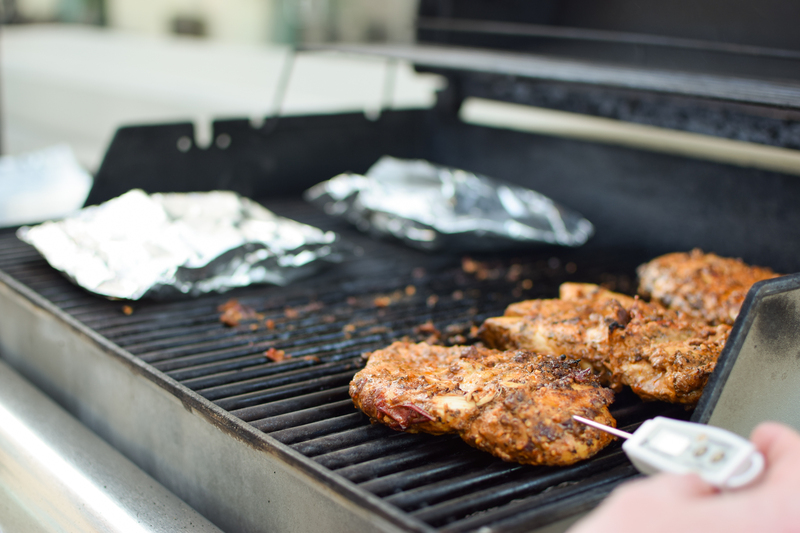 Get your grill ready and throw on the chipotle marinated breasts. Cook the chicken to 165 degrees. When done, chop all of the chicken (like at Chipotle!) to more easily measure your portions and save for the rest of the week. Eat approximately 6-8 ounces of chicken with your veggies and quinoa. Dinner/Prep: Cut the following veggies and split between tonight’s dinner, Thursday dinner, and Friday lunch. Cook 2/3 for dinner, leave 1/3 raw for Friday lunch salad. Dinner: Make a chipotle chicken burrito with chicken, quinoa, black beans, peppers, onions, and romaine (or however you like your burrito). Dinner: Craft yourself a burrito bowl with some chipotle chicken, avocado, black beans, quinoa, lettuce, peppers, onion, etc. Prep: In a 4-cup Pyrex bowl, prepare yourself a chipotle chicken taco salad for Friday lunch. Romaine, avocado, the rest of the chipotle chicken, raw peppers, cheese, black beans, salsa, anything you want. 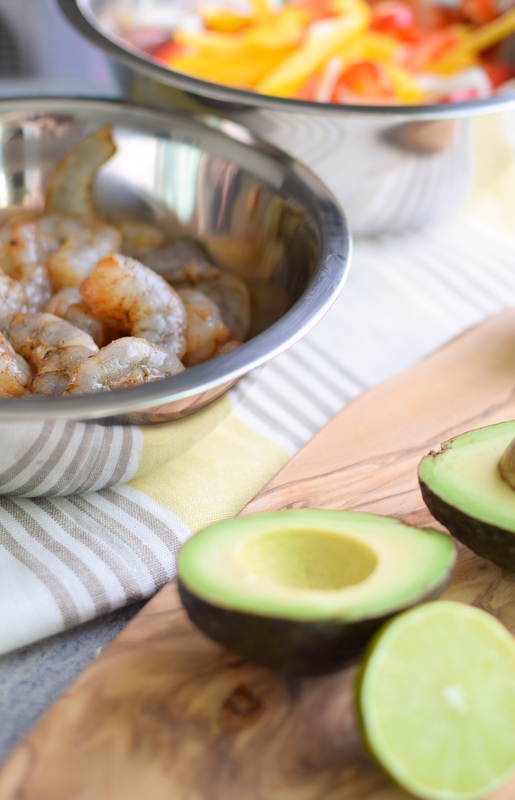 Dinner: Check out the following summer grilling recipe from Jaclyn at Cooking Classy – Grilled Lime Salmon with Avocado-Mango Salsa. This recipe serves four, perfect to have a couple people over for a super yummy summer dinner. You could substitute quinoa for the coconut rice. As I mentioned last week, feedback is appreciated and highly encouraged! 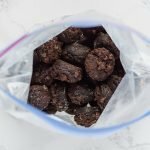 I want to make the meal plans and preparation steps easier for you to use. If you do end up following a meal plan, snap a picture and tag Project Meal Plan! Or use #projectmealplan in your social media posts. Feel free to leave a comment or email me at danielle@projectmealplan.com. 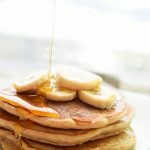 If you love the meal plans and want to see them get better every week, please subscribe to our mailing list in the sidebar! A little disclaimer: Some of the links on this page are for affiliated products on Amazon. 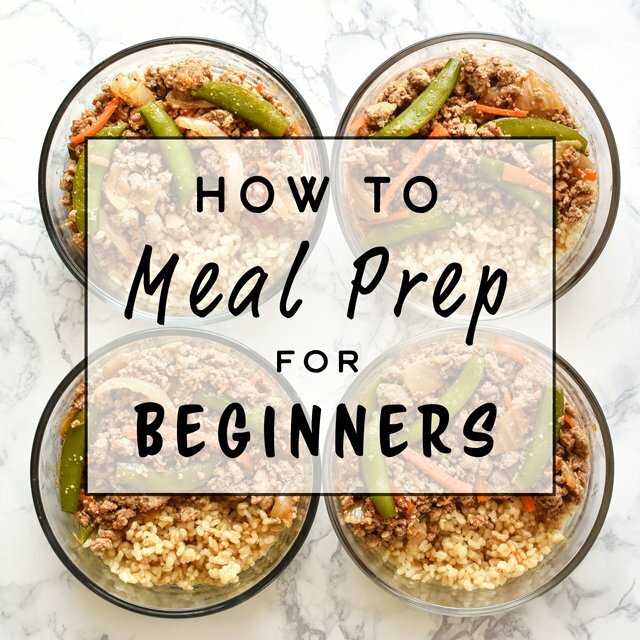 If you are planning to make any purchases, please start your Amazon shopping here on Project Meal Plan! We’ll get a small commission at no extra cost to you. I truly appreciate your support! For more information, please see our Full Disclosure.